Traveljunkieindonesia.com – While I was in Melbourne, there were SO many famous Indonesian dishes I wanted to try. 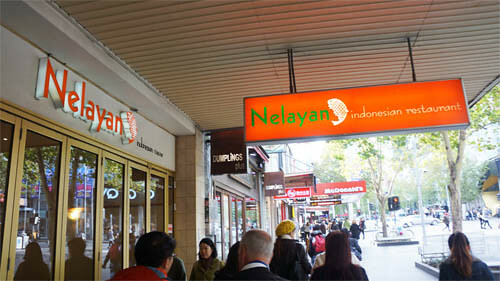 One of Indonesian restaurants in Melbourne is Nelayan Indonesian Restaurant, serves a range of authentic and traditional Indonesian dishes. Their menu offers good quality fresh food from noodles, nasi goreng, ayam bakar, rendang to satay. At the Restaurant staff are friendly and service is good. This is a restaurant that offers good value for money. Aaah I didn’t get to taste soto betawi I was hoping to try out in Melbourne. Oh well, maybe next time. I’ll definitely be back for more!